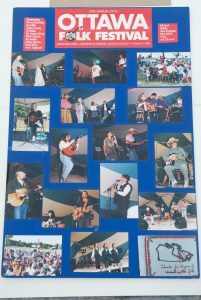 Buoyed by the initial success of the CKCU Ottawa Folk Festival in 1994, the festival organizers decided to expand to a two-day format. Out of respect for the native occupation of Victoria Island by Algonquin Indians, the festival was moved to a new location. The natural choice was Britannia Park, a beautiful west-end site on the Ottawa River. Britannia Park was also the site of the Festival for the Folks from 1977 to 1979. Chopper McKinnon and Karen Flanagan McCarthy returned to host the main stage throughout the festival. Sunshine sparkling like a million diamonds on the water in Britannia Bay, a warm summer rain, a glowing pastel sunset, and a meteor crossing a dark Ontario sky. 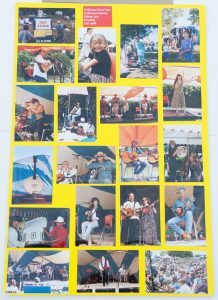 All of these natural elements helped to create an enchanting atmosphere at the second annual CKCU Ottawa Folk Festival held August 26 to 27, 1995. The festival exceeded all expectations with double the attendance of the previous year, and garnered rave reviews from criticsand the community alike. 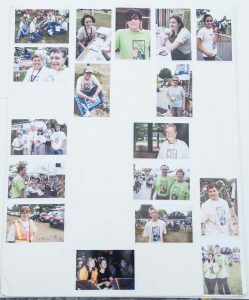 “If a festival can be measured in moments of music magic, the second annual CKCUOttawa Folk Festival was a resounding success,” enthused Lynn Saxberg of the Ottawa Citizen. Ottawa’s fine folk tradition was celebrated with music, dance and storytelling. There was plenty to celebrate.Fifteenth anniversary theme stages paid tribute to two Ottawa institutions: Canadian Spaces, the oldest Canadian folk music program on community radio; and the folk club Rasputin’s. The Le Hibou Deja Vu stagetipped the hat to Canada’s longest running coffeehouse and featured several prominent artists who performed there. Arthur McGregor, owner of the Ottawa Folklore Centre, opened the main stage with a wonderful acousticguitar interpretation of “O Canada”. Ottawa Valley fiddling, stepdancing and singing were showcased during three sessions, including a tribute to the late Mac Beattie. The Ottawa Songwriters session hosted talented local performers, as did the songwriting group Writer’s Bloc. On both days, Ottawa storytellers wove magical tales for their attentive audiences. TheOttawa Citizen Family Area kept kids busy all weekend long with a variety of daytime activities, crafts, costumes and entertainment, including face painting and great performers. The afternoon stages featured Celtic, country, bluegrass, gospel and world music. There were also afternoon sessions highlighting instrumental music, as well as sessions exploring the potential of the human voice and our connections to the natural world. A wonderful blend of familiar and new musicians performed 30-minute sets on the Showcase Stage. The lineup for the acoustic guitar theme stage was hard to beat: Don Ross, Stephen Fearing, Alex Houghton, Lynn Miles and Alan Marsden. Audience participation was an important element of the festival. Kids clapped and sang along with Eric Naglerat a Saturday afternoon concert, while families sashayed around the hall during a traditional contra dance on Sunday afternoon. The Arrogant Worms were successful in getting adults and children alike to imitate a chomping alligator, with hysterical results. Hundreds of stargazers were on hand Sunday afternoon to witness the Swingin’ on a Star stage. Murray McLauchlan performed along with the other stellar artists who had appeared on his national CBC Radio show from 1989 to 1994 including Colleen Peterson, Lynn Miles and David Wiffen. The sweethearts of the festival proved to be Malaika, a four-woman acoustic harmony group that specializes in a capella music performed in several different languages. As if by cue, a meteor streaked across the sky during a passionate encore by guitarist Don Ross. The most poignant moment of the festival was when Murray McLauchlan was presented with the first Helen Verger Award for his contributions to Canadian folk music. The award was instituted to honour the memory of the lateHelen Verger, co-owner of Rasputin’s coffeehouse, mother of Dean Verger, and a friend to many in the Ottawafolk community. Helen’s generosity and love of music embodies the spirit of the CKCU Ottawa Folk Festival,and the award is a fitting tribute to a woman who did much to foster the local folk scene. Finally, the crowd bid adieu to CKCU Ottawa Folk Festival Director Max Wallace, who left his job as station manager at CKCU to pursue writing opportunities in Montreal. The baton was passed into the capable hands ofGene Swimmer, an avid folk fan and a professor in the School of Public Administration at Carleton University.